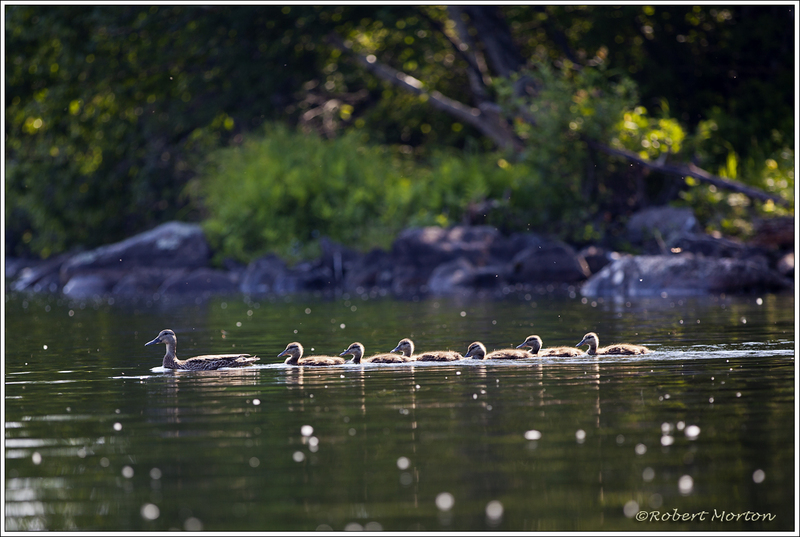 This small loon family was having breakfast when we encountered them on the waters of Lake Nosbonsing. Getting ready for the prom? 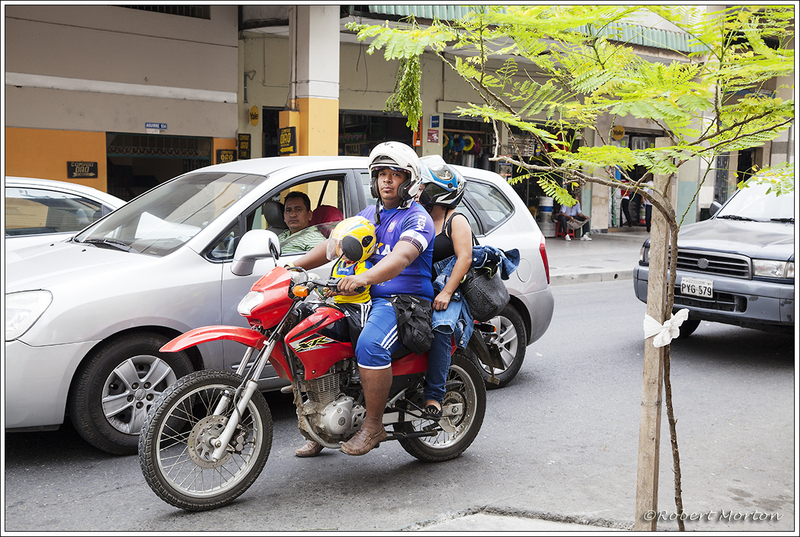 In Guayaquil and other cities, I saw many small motorcycles/scooters with families riding them. Sometimes the mom would hold the baby and with others the child was large enough to ride in front of dad. At least the family is wearing helmets. 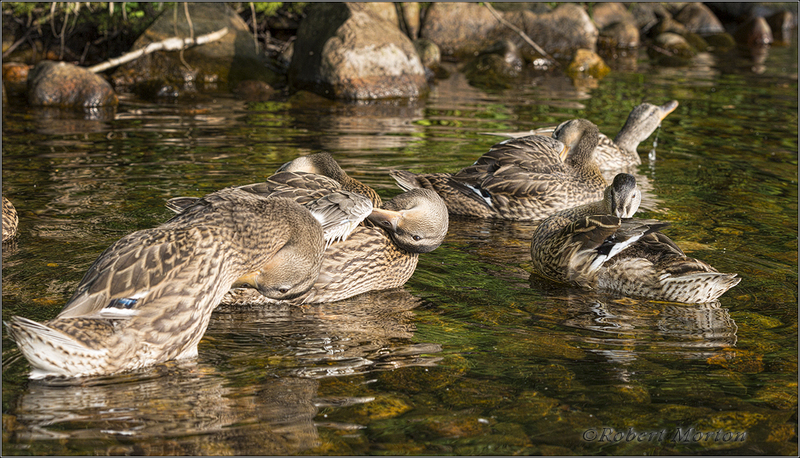 The next generation of ducks is in the good hands of mom. 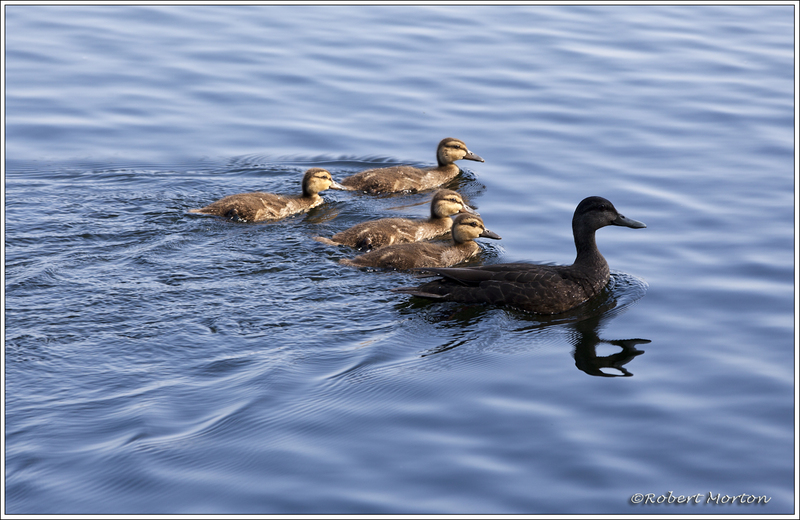 Young ducklings follow mother with great precision. As time passes the youngsters get more independent, but for now, bravery takes second seat. 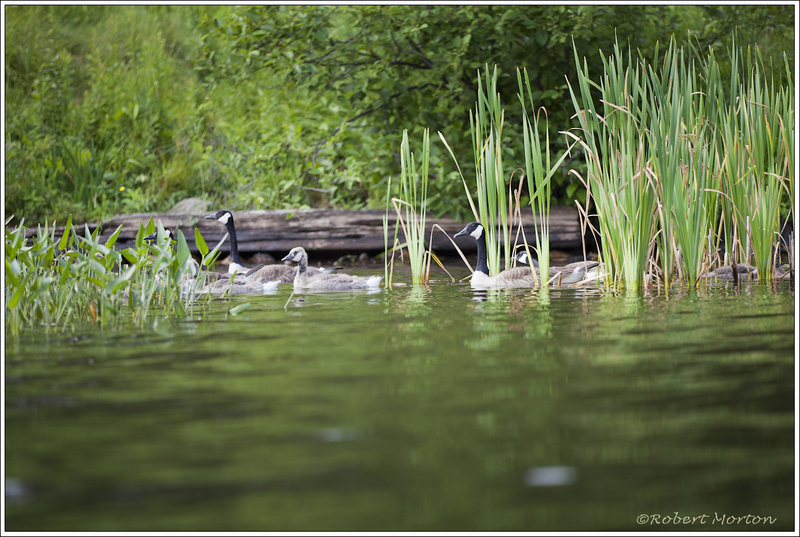 Two, maybe three families guarded by adults hid in the reeds by the water.